Weekend Roundup: Europe’s big football action. Home Blogs Weekend Roundup: Europe’s big football action. In what turned out to be a bonanza weekend for footie fans across Europe, here we are rounding up the big action and score-lines that left some in shock and others in awe. This game effectively has thrown Arsenal out of the title race who are now 12 points behind leaders Chelsea. However, the highlight of the night was a sizzling-solo goal from Eden Hazard in this big, emphatic victory. 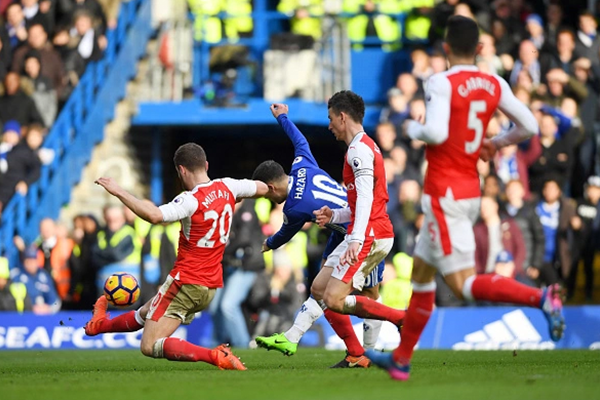 It wasn’t until the dying moments of the game that Olivier Giroud managed to head the ball into the net in yet another disappointing EPL campaign for the gunners. Like the single banner held up in the Arsenal end read, maybe for Wenger it’s “time to go”. This game wasn’t supposed to be headline grabber. After all, what sensational stuff could one expect from a game between two teams placed at opposite poles of the table? A lot, as the Napoli players showed. Like a slick, well-oiled goal machine, the team netted 7 goals against Bologna in what was their biggest away win in Serie A. Two hatricks from Marek Hamsik and Dries Mertens sent fans into a frenzy in a night that put the latter in history books. With this treble, the Belgian International became the first player to score three or more goals in consecutive Serie A fixtures since 1974. Everton manager Ronald Koeman called this a “crazy game of football” and we couldn’t agree more. 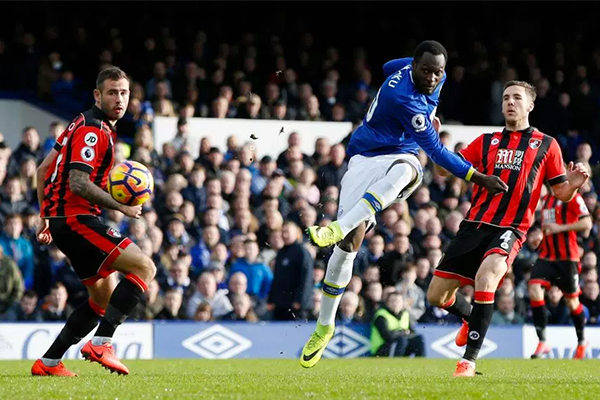 The main starrer of this 9-goal thriller is Romelu Lukaku who netted 4 goals and elevated his team to seventh spot in the EPL table. Extending their unbeaten run to seven games now, the Liverpool-based club is at touching distance from Man United. Not losing heart, a defiant Bournemouth side showed mettle in their midfield and didn’t go down without a fight. The “Old Lady” retained their six-point lead at the top of Serie A in one of the most anticipated games of the season. They had the opportunity to double the score line, but Dybala's 20-yard smasher hit the bar, while Pjanic's free-kick was tipped onto the bar by Inter goalie Samir Handanovic. The in-form Inter had a few chances to level the score but finally Juan Cuadrado’s goal stood between the champs, and their bitter rivals. 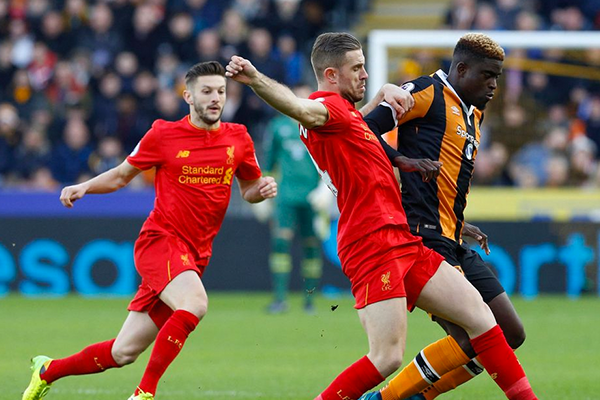 A big upset over the weekend came for Liverpool as they faced a humiliating defeat in the hands of relegation candidate, Hull City. This has been the fourth defeat in five league and cup games for the Reds. Although seen as the “title challenger” by many, the Reds have displayed limp and woeful performances ever since the year began and this particular defeat may result in a serious dent in their otherwise powerful campaign to lift the trophy. This victory, however, is good news for Hull City as now they are one-point from safety and have managed to win 7 points out of a possible 12 under new boss Marco Silva. 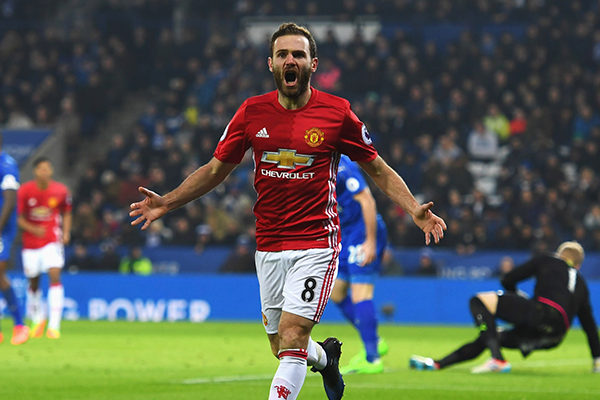 Leicester 0 – 3 Man United. The ultimate underdogs turned champions of last year are now in a woeful 16th place in the league. Their condition worsened when Man United scored three goals in an eight-minute period either side of halftime to beat them 3-0 in what was a comfortable win for the Devils. This was a big victory for the men in red as now only five points separate them from second-placed Tottenham. Quick trivia, the last defending champion to be relegated the following season was Manchester City in the 1937-38 season. Arch rivals came head-to-head in this thrilling game of turf and title control. However, the real kicker was a golden save by Iker Casillas in the dying moments of the match showing the world that he still got game. Agree with us? We’d like to know. Disagree with us? We’d like to know even more. Be the first to review Weekend Roundup: Europe’s big football action. !